TR: Maine Coastal Marathon Edition! Wednesday, Thursday, Friday, Saturday, Sunday! 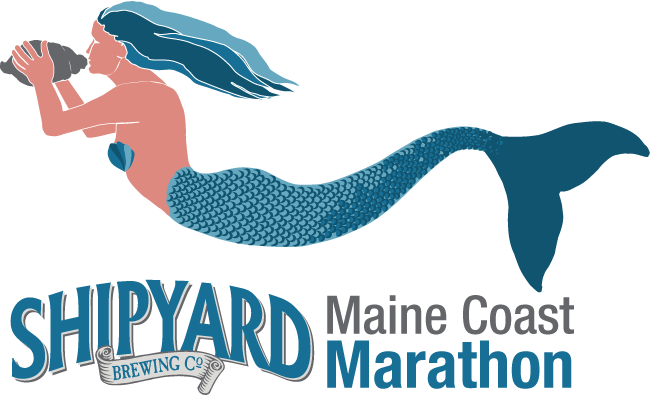 Less than 5 days till I tackle the Maine Coastal marathon and the nerves are flaring up! This is my first marathon if you haven’t already figured this out from my countdown above or all the recent tweets so don’t be alarmed by my insanity at the moment. In all seriousness, I am “worried” that I have not planned for everything in this race but that is par for the course when running something new. Just have to roll with the punches! So one of the things that struck me today was the fact that there is “food” on the course. I have listened to numerous audio books about ultra runners who fill up on candy, carbs and other things along their many races. But in the four half marathons that I have run, I have never seen food actually served along the course. So the big struggle for me will be to avoid it and focus on my game plan! However, I do like peanut butter pretzels so that will be a challenge! In regards to my consumption plan so to speak, I will have my 3 gu packets and 1 or 2 cliff bars ready to be absorbed if necessary. Beyond these items, water will be my other resource and that will be it (and only at the water stops as I just can’t carry a water bottle for 26 miles). I don’t like carrying things with me on runs normally and this will be far more than I have ever run with but I will “deal” if I am going to finish the race in a timely (and healthy for that matter) fashion. A question on Shoes. Someone asked me the other day if I had “race” shoes versus “training” shoes. Since I don’t really rotate shoes too much (only between trail and road), I would have to say that I don’t have a race or a training shoe. I just have a shoe(s) and it is a Hoka One One Clifton 2! Shake, rattle and roll! Heard this song recently and thought about trying to integrate it into the title. Couldn’t think of an easy way other than to say…I am going to “shake” in my shoes, till I hear the “rattle” (an firing of the start gun) and then I will be “rolling” along the marathon route in Maine! How is that? Swedish fish anyone? This was recommended to me as an option. Problem is I LOVE these things and would probably eat way too many of them! That’s about it for installment one. Check back tomorrow (time permitting) for installment two! Previous Post TR: Shok’d by interference! Some of the best advice I received was an oldie but a goodie – trust your training. It got you here, it will get you to the finish line. As for food, don’t deny your body. If hungry, I often reach for the salty or sweetness along the course with little ill effects. GOOD LUCK! Thank you for the advise! Much appreciated.